Youngster Dylan McAvoy has suffered a broken arm in Wednesday evenings friendly against Ryhope CW. Dylan appeared to land awkwardly on his elbow and after a visit to A&E the break was confirmed. 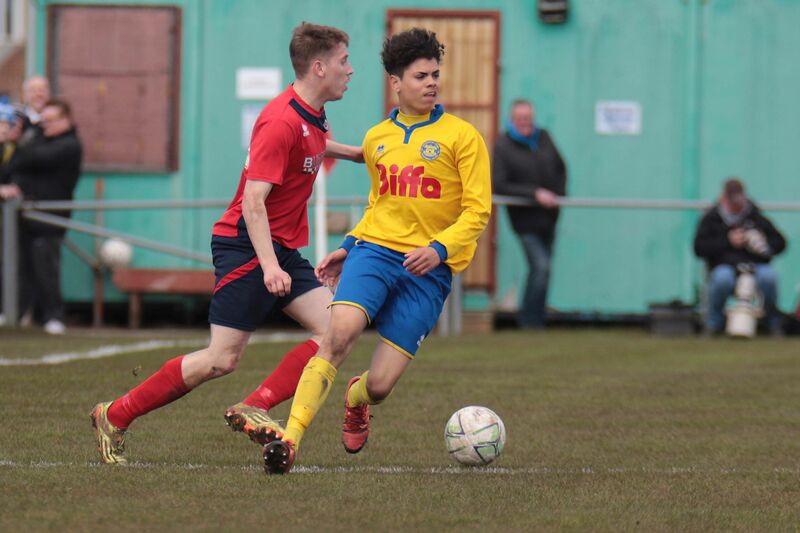 Dylan in action during the Wearside League Cup Final victory over Redcar Athletic. Dylan had started the season well and was looking to step up on some impressive displays in last years promotion run in. Good luck on the recovery Dylan from all at the Club.